There is a tiered pricing structure which you choose according to your personal circumstances. 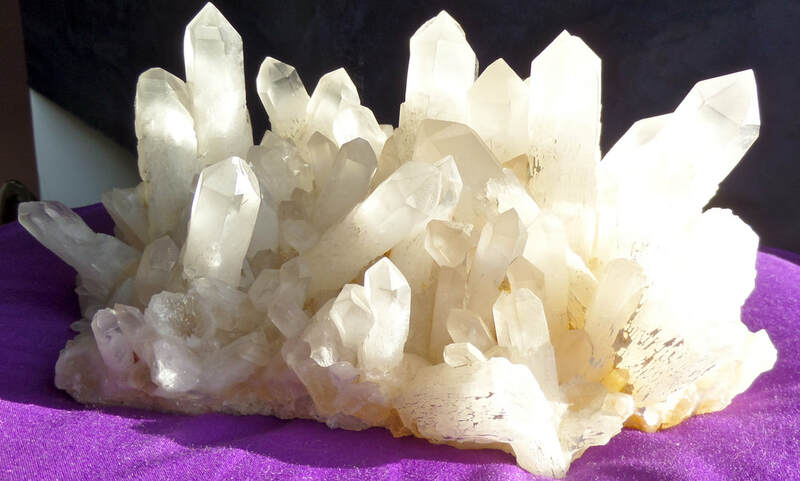 ​The week is suitable for beginners as well as those more experienced with crystals and energy work. The week includes all programme content, 7 nights accommodation, full board and refreshments. The Findhorn Foundation is a spiritual community, ecovillage and an international centre for holistic learning in the north-east of Scotland. The Foundation originally became famous in the 1970s for its ethos of co-creating with nature. Where do we stay? 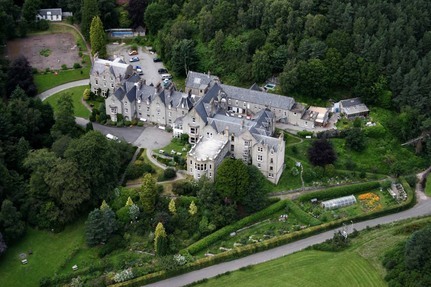 Participants on the crystal week usually stay at Findhorn Cluny HIll, which used to be a big Scottish hotel before the Foundation bought it. Please see the photo below and at the top of the page. This is in the village of Forres. The course runs from here. On rare occasions, if it is very busy sometimes guests also stay at lodgings in the park, but there is regular transport put on between the two venues. Booking into B & Bs before arriving The course begins after lunch on the Saturday at Cluny Hill. Guests need to register from 11.00 and then have time to go to their rooms and have lunch before it begins. If you are travelling from far, it may be advisable to arrive locally on the Friday and stay in a B and B. 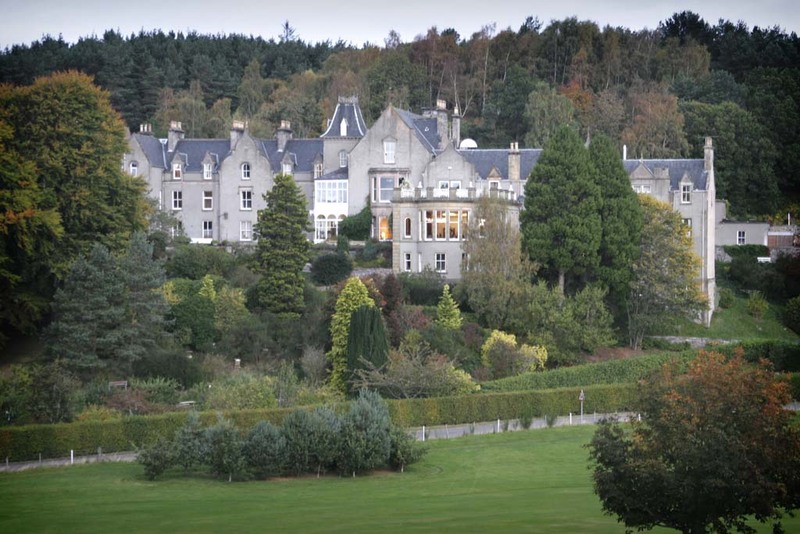 There are B and Bs in Forres, Findhorn park, and also hotels and B and Bs in Inverness. Do get in touch with Robert below if you need more info, or ask the Findhorn Foundation themselves, website link below. Do rooms have their own bathrooms Guests at Cluny stay in shared rooms (single rooms are available with a supplement) and whilst they do not have their own bathrooms, there are many bathrooms and showers on each floor, fairly close to every room. 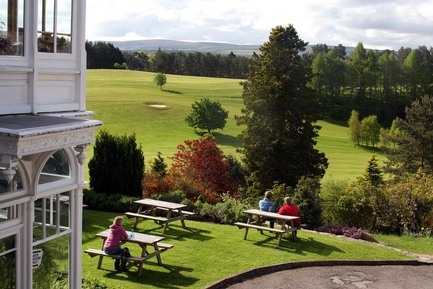 Do we have time on the course to explore Findhorn? Yes, there are a number of sessions of free time during the week, so participants can explore the Park, or visit the beach, go for walks in the woods, or join events happening during the week at the Foundation. I have special diet requests - is that a problem? Most food at the mealtimes is vegetarian (with a few fish dishes sometimes). Food intolerances and allergies can be catered for if the kitchen is informed e.g. gluten or dairy free etc. From anywhere in the UK - Forres (where the course takes place) can be reached easily by train, plane or car. By plane you get a flight to Inverness Airport, and from there get a connecting short journey bus into Inverness. By train travel to Inverness railway station. From Inverness there is then a short connecting journey train ride into Forres. 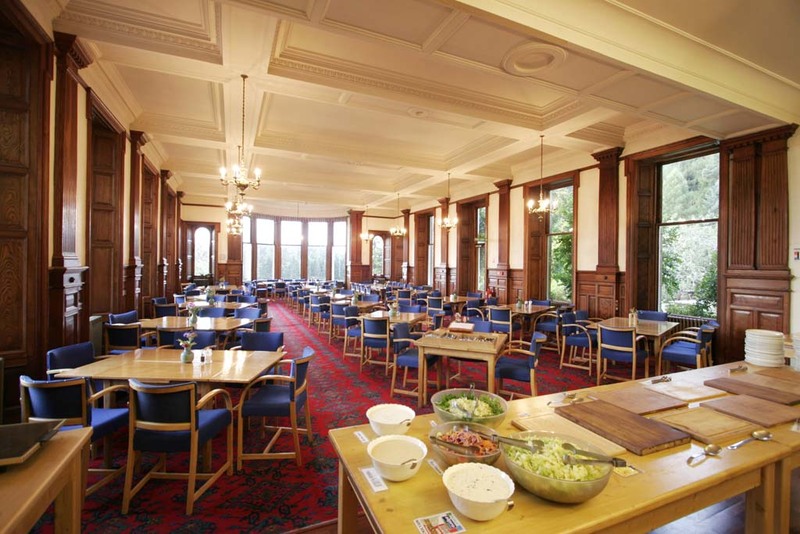 To book for the week or to find our more info about Findhorn please visit their website here. If you have questions about the content of the week please contact us by filling in the form below and we will get back to you.